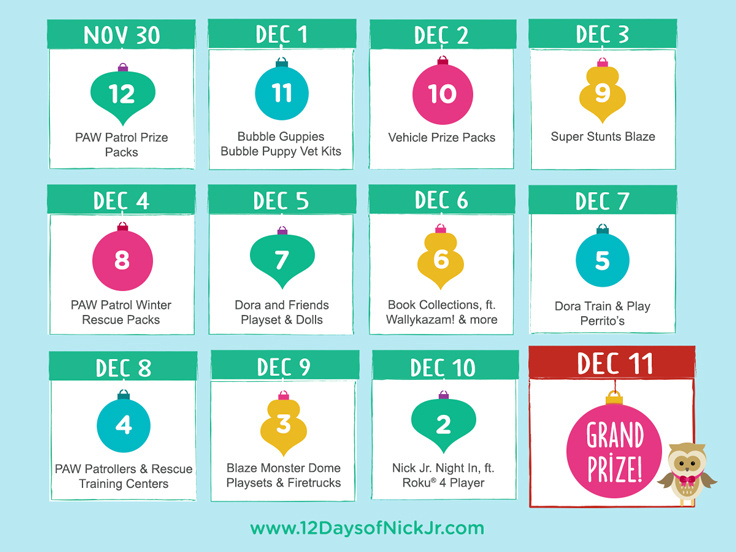 The 12 Days of Nick Jr. Holiday Sweepstakes is Here! It's your chance to win awesome prizes for your child this holiday season. It’s time to celebrate! The Nick Jr. 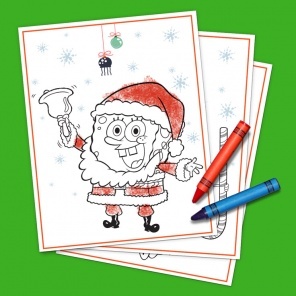 Fan Club’s annual 12 Days of Nick Jr. Holiday Sweepstakes is here. As a way to thank you for being such a great part of our Nick Jr. family, we are giving away the hottest toys of the season… free! For 12 days only, we’re giving away new prizes every day. Check out the calendar below to see what we’re giving away and when. 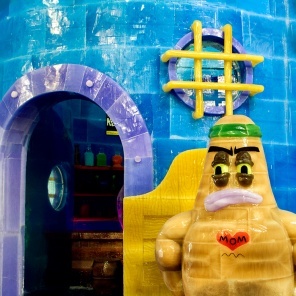 Enter now at www.12DaysofNickJr.com for your chance to instantly win one of these great items. Mark those calendars because you won’t want to miss a day! Each day that you enter, you’ll gain an additional entry into the Grand Prize drawing.